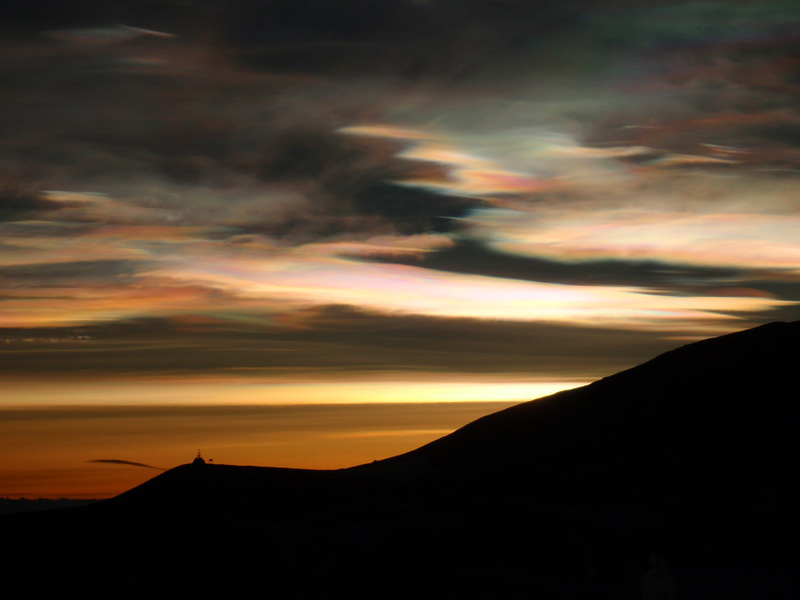 Nacreous Clouds or Polar Stratospheric Clouds. Picture taken 05/09/2009 16.07 - McMurdo Antarctica. Our Lady of the Snows Shrine, a.k.a. Roll Cage Mary on the lower hill to the left.